In the 1950’s, Troop 5 was a vibrant troop in the Garden Hills section of Atlanta, sponsored by the Second Ponce de Leon Baptist Church, and led by Scoutmaster Bame D. Mitchell. We had about 40 boys organized into four patrols, plus the “Skunk Patrol”, consisting of fathers who regularly accompanied the troop on its many camp outs, hikes, and Camporees. The troop also spent two weeks every summer at Bert Adams Scout Camp, located at the time in Vinings. 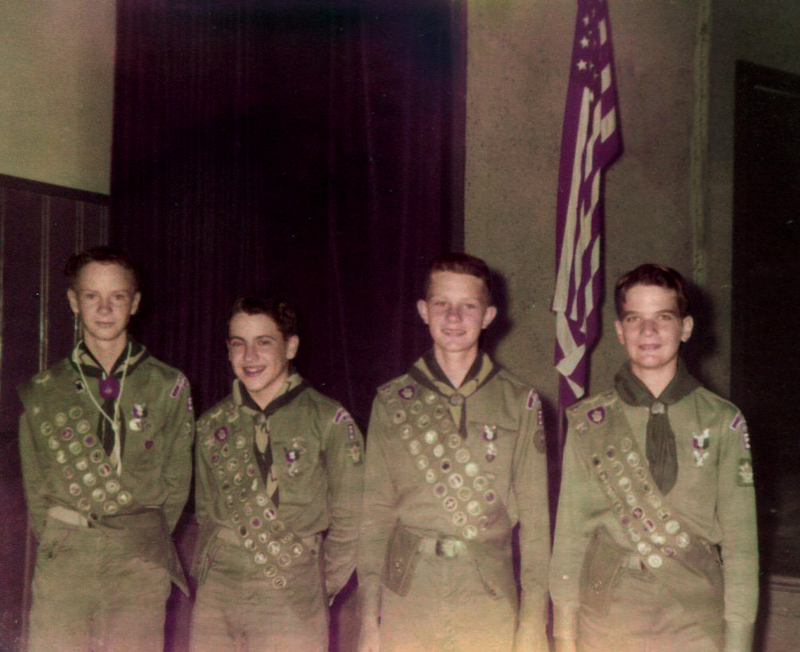 Several of us had come to the Troop from Cub Pack 7, so our history goes way back. Troop 5 no longer exists, but many of us ‘boys’ still do, and remember the good times we had together. 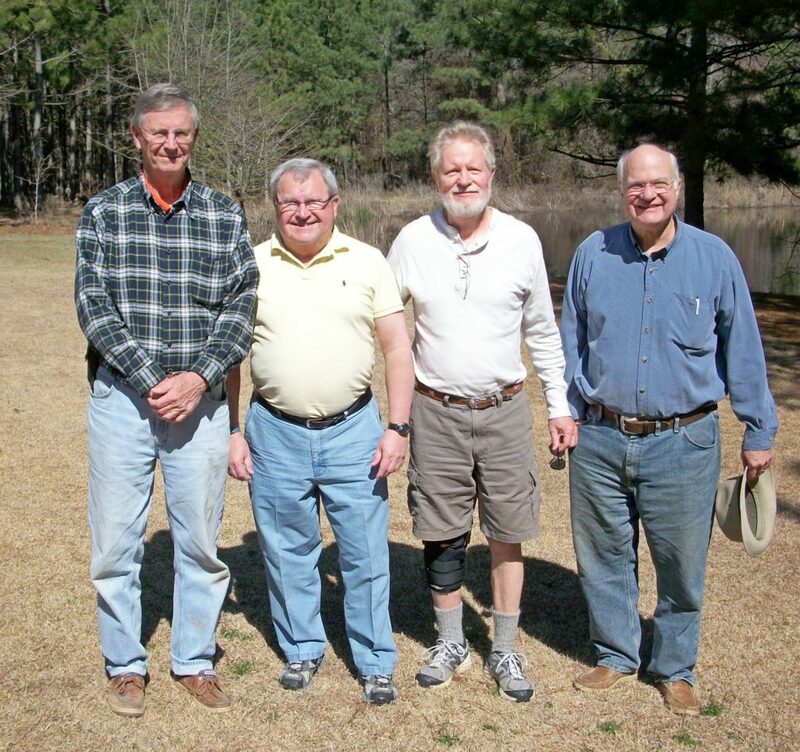 Several of the ‘boys’ have remained in touch over the years, and about five years ago, a determination was made to hold a reunion of those who could be gathered from that era. John Phelps has a timber farm in Dexter, GA, and that was the selected site to gather for one or two days and nights each year in March. Of interest is the fact that four of us received our Eagle award at the same Court of Honor in May, 1956, and amazingly, we are all still alive and well and have been able to reassemble in Dexter. All of us have enjoyed participating in learning about the timber industry and conservation, as well as sharing too many old memories to recount, sharing information and life experiences from our various professions, meal preparation, a travel slide show, and updating our knowledge of the safe use of firearms. The attached pictures show the Eagles in 1956 and again in 2014, and the last picture shows all the group who attended in 2016. Current members of the group are: John Phelps, Art Moorhead, Bill Markert, Bob Markert, Bobby Boyd, Dan MacIntyre, Richard Hurd, Tom Kilpatrick, and Wayne Moulton. This story was submitted by Richard Hurd, who earned the Eagle Scout Rank in 1956. 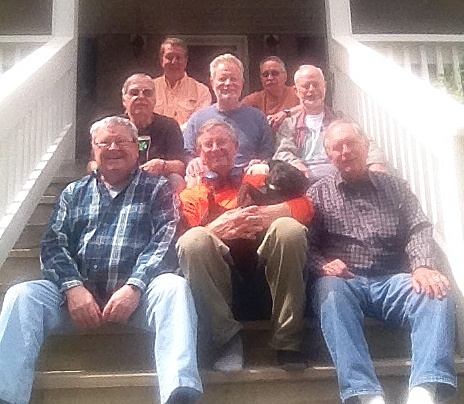 He and four other Eagles from the now defunct Troop 5 in Garden Hills still meet together semi-regularly. Tagged Bert Adams, Eagle Scout. Bookmark the permalink.